I haven’t had much time to blog lately. First, I got a virus that took my computer away from me for two days. 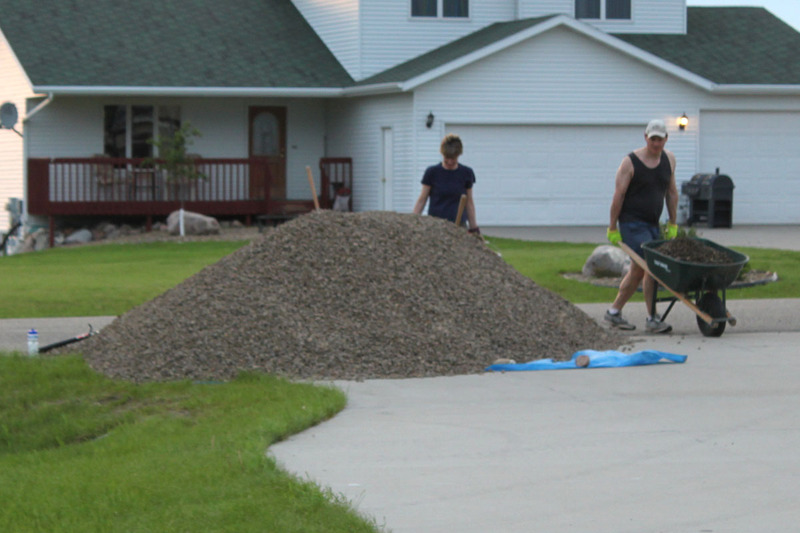 On Thursday evening we had 14 tons of crushed rock dropped off in our driveway. Yep, 14 tons of rock for us to move. We have been working hard with wheelbarrow and buckets to move it into our yard. The difficult part is that my oldest son has been gone most of the time…he is on his free week-long trip to D.C. We are guessing we have about 4 tons left to move, but we have to finish digging out the grass in a new flower bed. I am definitely sore and black and blue. The other thing that I have been doing is going through the goods from my first ever pick. My aunt called last week to see if I wanted to go through some old things before they threw the stuff out. Uhmmm, YES. We headed 1.5 hours away to go through the stuff and pack it up. This week I have been slowing going through the items. 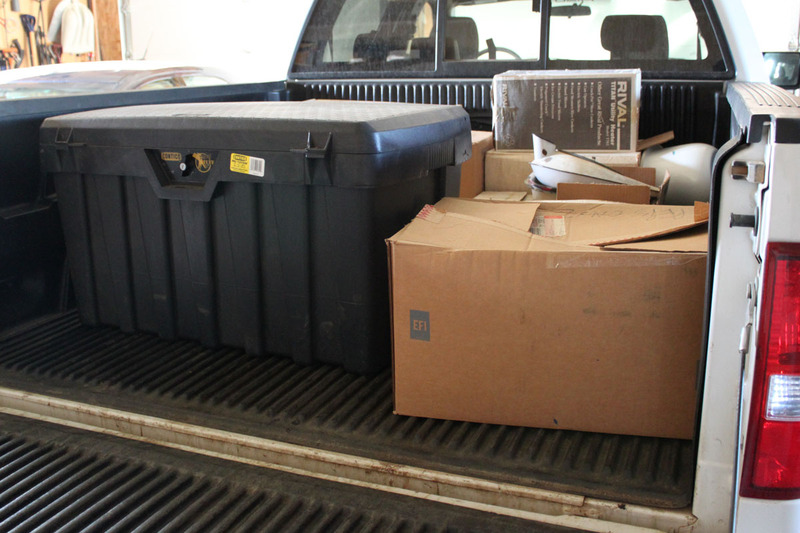 The items are very dirty, so it is a time-consuming process. I have found a couple of gems. 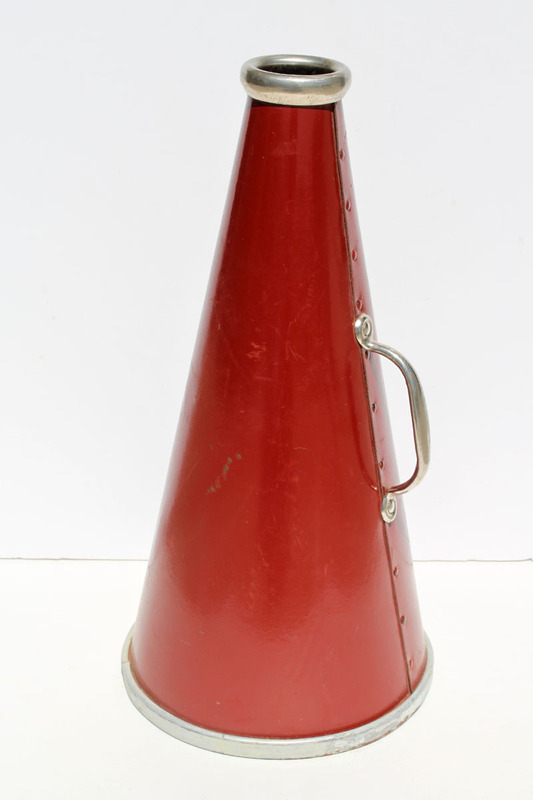 This 1950 megaphone is so cool. I was surprised how much it amplified my voice. Nope, not going to let my kids play with it. It is getting listed soon. 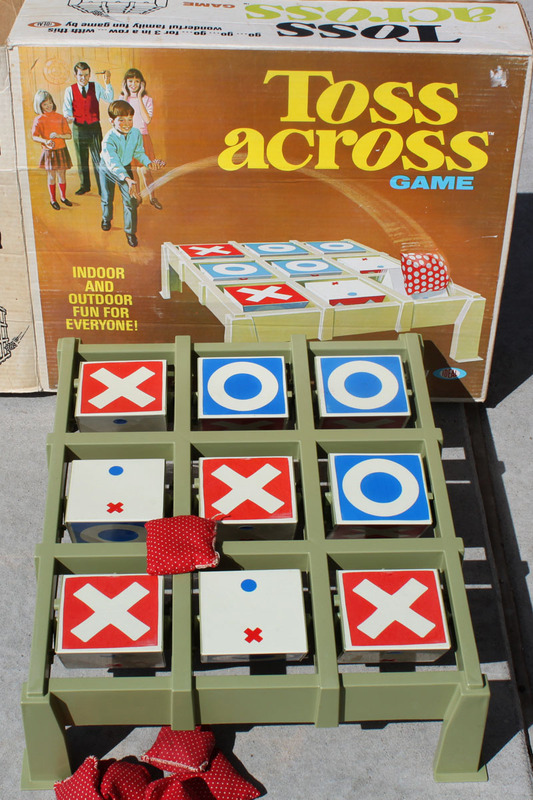 This 1969 Toss Across Game with the bean bags. I am amazed how hard the panels are to flip. They can only be flipped twice in one direction and then they have to go back the other way. The one I remember playing with my boys was so easy to flip. Most of the time they would spin and then stop. Ok, my lunch break is over. Back to work. Looking forward to finding more treasures and getting those rocks hauled. This entry was posted in Daily Life, Life as a Picker by Karen Grosz. Bookmark the permalink. I am just that physical labor is behind us.